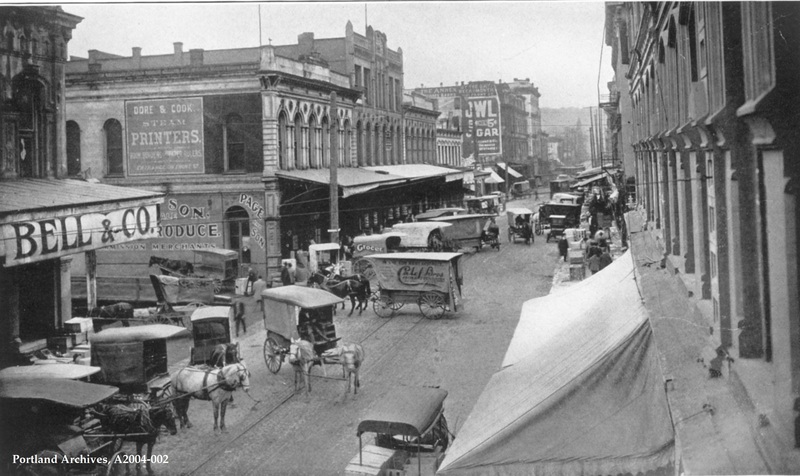 Front Avenue, 1910. This image comes from Portland Oregon Its History and Builders, by Joseph Gaston. City of Portland (OR) Archives, View of Front Ave, A2004-002, 1910. 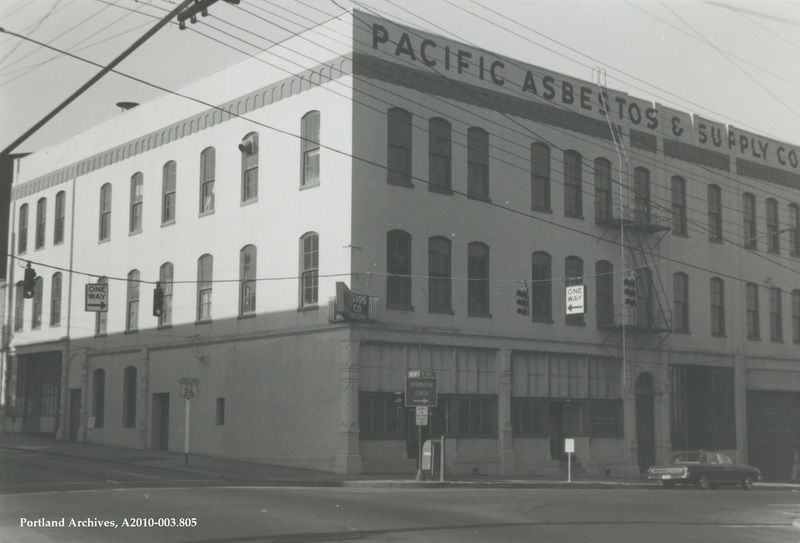 Corner view of the Pacific Asbestos & Supply Company at 1437 SW Front Avenue, 1964. City of Portland (OR) Archives, A2010-003.805. 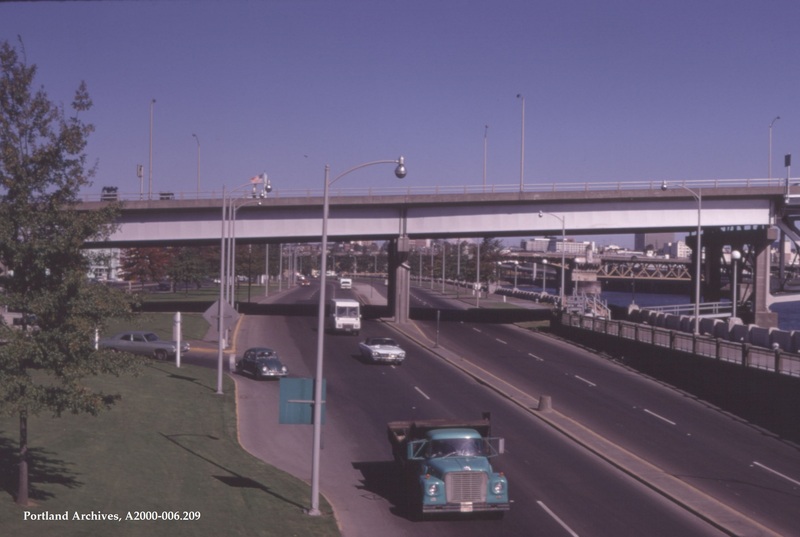 Looking north on SW Front Avenue (Naito Parkway), from south of the Morrison Bridge, 1969. City of Portland (OR) Archives, A2000-006.209. 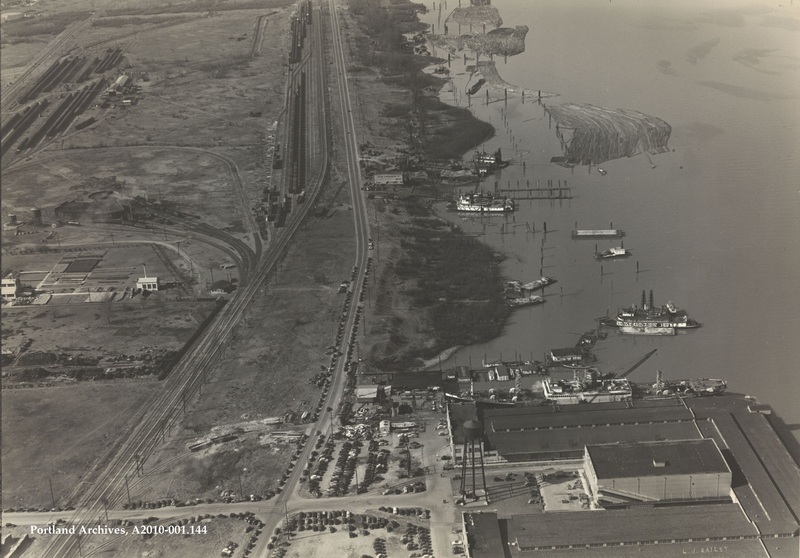 Aerial of NW Front Avenue and waterfront, circa 1938. City of Portland (OR) Archives, A2010-001.144. 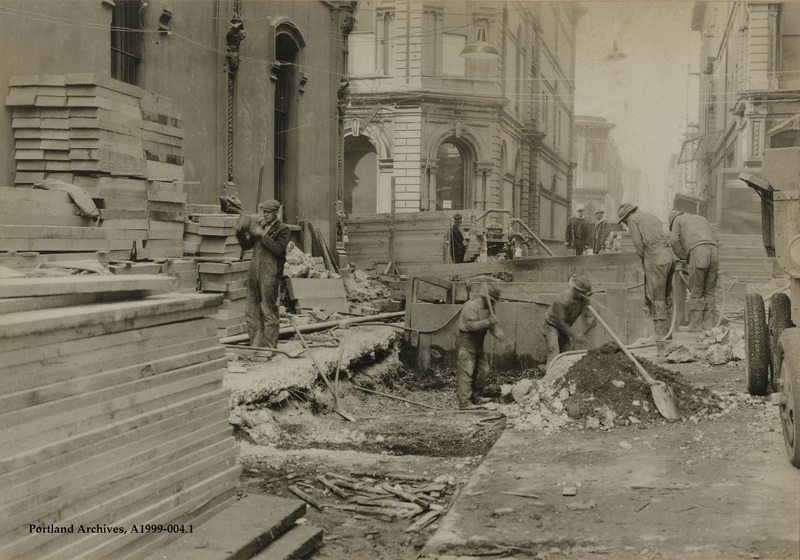 Front Avenue Intercepting Sewer construction during open cut sewer excavation, circa 1928. City of Portland (OR) Archives, A1999-004.1. 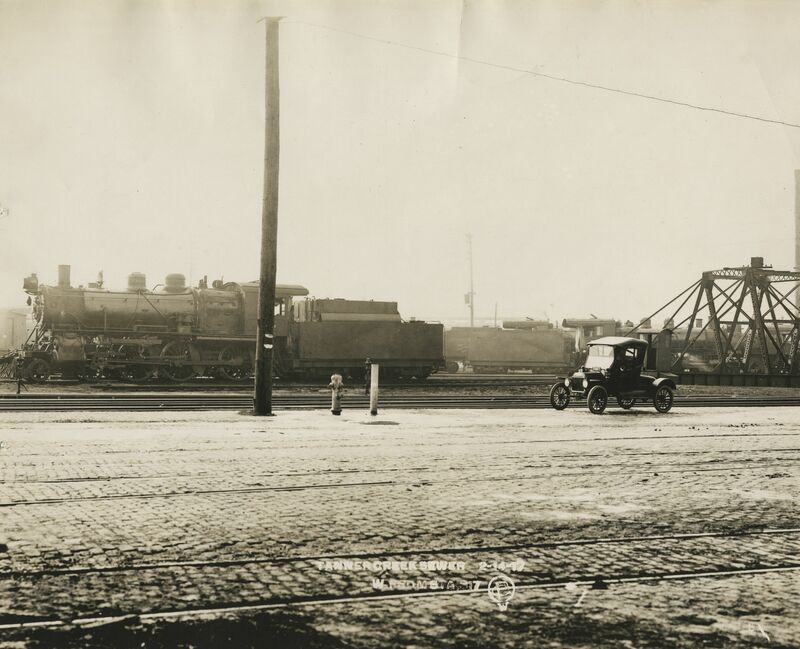 Railroad tracks near NW Front Avenue, looking west along the route of proposed Tanner Creek Sewer, 1917. City of Portland (OR) Archives, A2001-008.222. 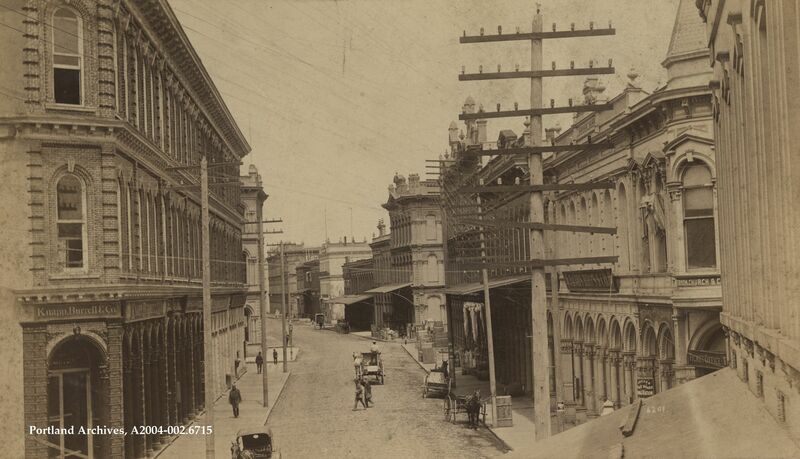 SW Front Avenue looking north from SW Ash Street, circa 1886. City of Portland (OR) Archives, A2004-002.6715.